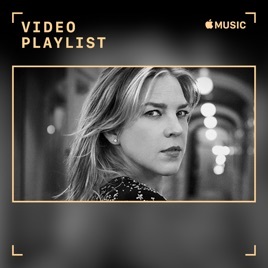 Diana Krall has masterfully parlayed jazz and pop standards into mainstream success, updating classic tunes with easygoing sophistication and subtly modern tunefulness. Her videos provide a perfect representation of how she weds past and present. Krall's work doesn't rely on flash or trends; she privileges artistry, which makes live performances and in-studio clips her most natural settings, especially when joined by giants like singer Tony Bennett or cellist Yo-Yo Ma.